Reaching the top of Mt Chowan is a challenge, but a worthy challenge. 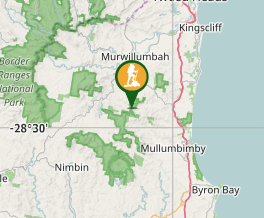 Mt Chowan sits in the north-eastern corner of Mt Jerusalem National Park at a height of 523m. 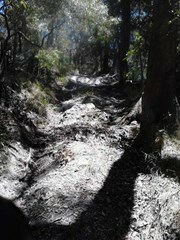 A fire trail and a track lead up along the side of the mountain until the final steep ascent. From Stokers Siding, turn into Smiths Creek Road that leads to Uki. Follow this road for 4km and as it curves to the right over the brow of a hill, the fire trail is to your left. 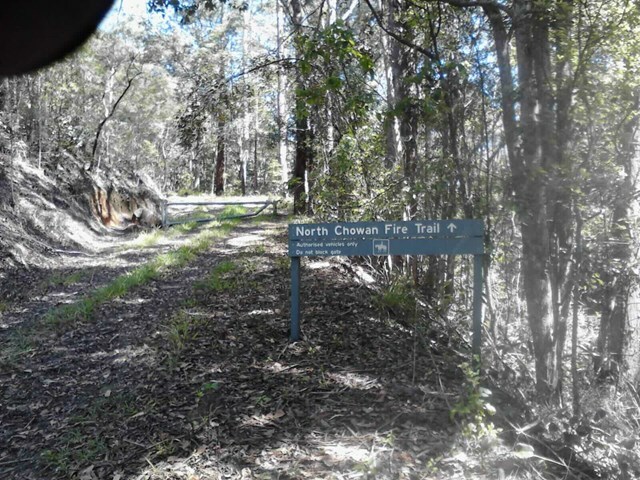 The fire trail (North Chowan Road), is not signposted and is only market by a sign saying, 'rubbish dumping prohibited'. Travel along the track for 200m where you can park. The fire trail is gated from here. From the parking area, take the undulating track made by local mountain bikers to the left along the top of the range or the fire trail to the right. The two tracks converge four times until the last one in a small grassy clearing denotes the end of the fire trail. Ignore the left fork on the fire trail; keep right. Now you just have the track straight ahead of you that ascents 100m in 400m to within 20m of the summit. The track goes around the eastern side of the mountain, before descending to the south. 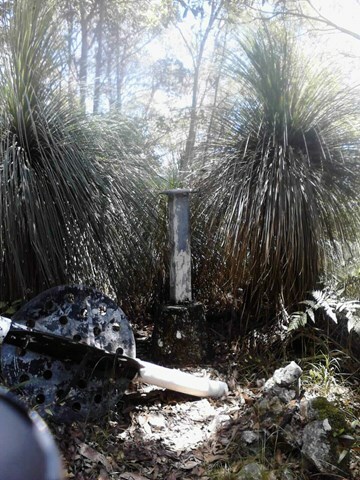 There is no path to the summit from the track; you just have to bush-bash your way up to the ordinance obelisk. Take care, as because there are no views from the top, you can easily step off the wrong side from the top and miss the track. I would strongly recommend the use of pink flagging tape on your way up or rely on your GPS. Return by either the track or the fire trail. None , but no camping permitted. 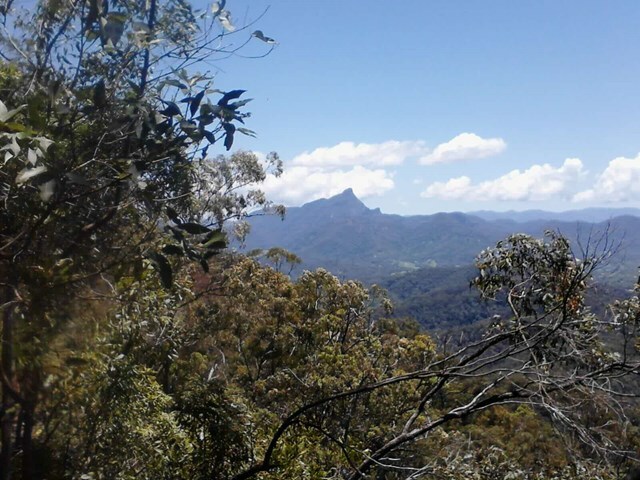 There are limited views along the track/trail, with only a couple of glimpses of Mt Warning to the north west. And there I was thinking: this is the last walk of the year, and low and behold I find a 'new' route! I thought that this was going to be an 'easy' climb; and it was at first. I then moved it to 'medium' and the final ascent to 'hard'. In 28° heat and my legs aching, I was glad to get back to the car!